I finished 3 books. 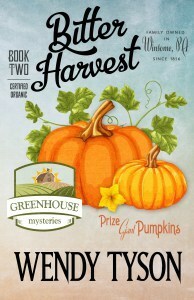 The first was Bitter Harvest by Wendy Tyson. It was chosen by he cover. I’m a sucker for pumpkins. We tried growing them once. They about took over the yard. Much like watermelons! It was entertaining but i did’t enjoy it enough to read furthur in the series. The writing & story were fine, it just wasn’t for me. I also finished Wandering Island by by Kenji Tsuruta. I needed a graphic novel for the Mother- Daughter Reading Challenge. The size is misleading because it is mostly pictured 😉 I enjoyed it. The drawings were great. It did suffer from too much skin showing, but I’m not he target audience. I was a bit miffed at the cliffhander ending– but no enough that i don’t look for book 2. The last book I read was one I picked up on vacation, also heavy on pictures. 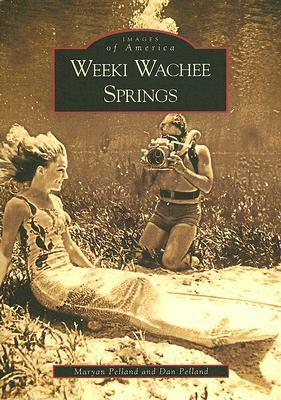 Weeki Wachi Springs by Maryan Pelland. A visual read through the history of the vintage mermaid park. I loved it. The photos and stories behind them were very entertaining. I have plenty of reading time at the moment. I’ve started 2 books. One is a librbay book and the other is a new release i bought on my kindle. I haven’t read enough of either to have an opinion so i will leave the blurb from goodreads. Marlowe befriends a down on his luck war veteran with the scars to prove it. Then he finds out that Terry Lennox has a very wealthy nymphomaniac wife, who he’s divorced and re-married and who ends up dead. And now Lennox is on the lam and the cops and a crazy gangster are after Marlowe. 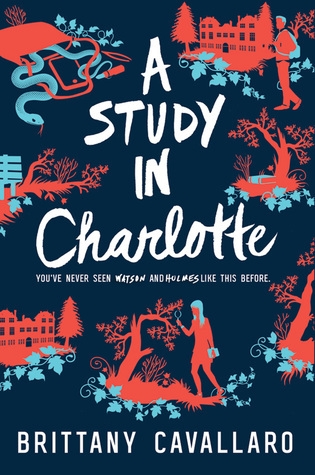 A Study in Charlotte by Brittany Cavallaro. I know nothing about this book other than it is a new retelling of Sherlock Holmes. This time it’s Charlotte Holmes. I can’t wait to give this one a read. Not my favorite day of the week. But I am playing along with The Book Date with What are you reading Monday? 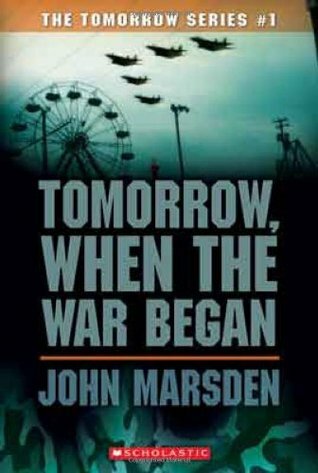 Tomorrow, When the War Began by John Marsden. This filled my required reading form another country for the Mother-Daughter Reading Challenge. This is a dystopian YA. Think Red Dawn in Australia. I was surprised at how much I liked it. 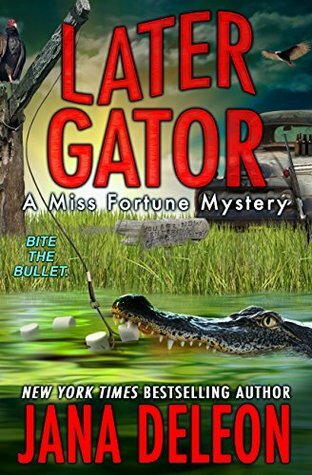 I also finished Later Gator by Jana Deleon. 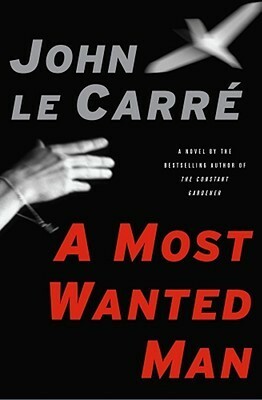 This is book 9 in the Miss Fortune Series. Let me just say, “I love this series.” It is fast and funny. The characters are crazy funny. Just read it. 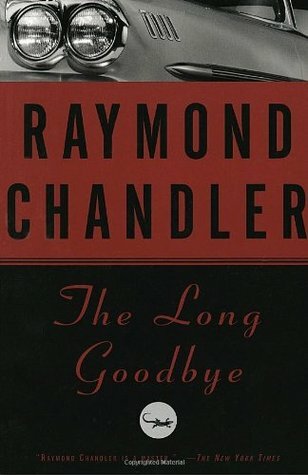 This is one of the few writers where I will pay full price to read their books. At the moment I’m all caught up on the series, but I’m sure there’ll be a new one out before too long. I have two books I hope to read. I’m not sure which is first, depends on which is easier to hold with a cast. Wandering Island by by Kenji Tsuruta. I needed a graphic novel for the Mother-Daughter Reading Challenge. That’s not something I normally read. 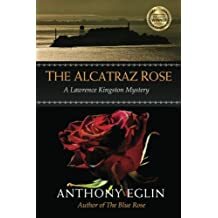 I did a little searching online and found this book cheap. I was surprised when I opened it that the book opens backwards. My children laughed at me and said, “Of course. It’s Japanese. That’s how they read.” Anyway… this one is about a girl who delivers packages from her airplane. Until she get’s a package she can’t deliver becasue she can’t find the island. Sounds interesting. I buried myself in my chair yesterday until I finished The Sword of Shannara. 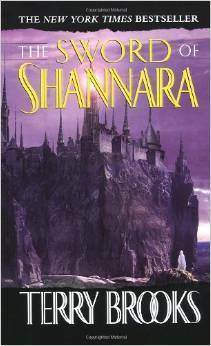 This is the first book in the original Shannara series and the first time I’ve read Terry Brooks. It was well worth the two weeks I spent reading it. Loved it. The main reason I read it was I bought the Elfstones of Shannara first without realizing it was part of a series. I can’t read out of order 😉 Shannara feels a lot like LOTR. If you enjoyed Tolkien you would probably enjoy this book as well. I intended to read a cozy mystery after Shannara. Something light and easy. But my library bag had other ideas. I picked this odd little book up based on the cover and title. Seriously, how could I not read a book entitled Optimists Die First? And the cover looks like a knitted sweater. I’m only on page 69. It seems like a fast read but I think it’ll be a bit more in the emotions department than I wanted after Shannara. 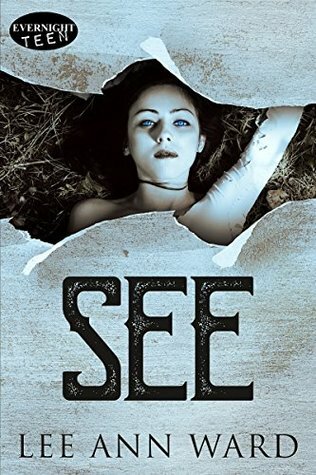 In a nutshell, the story follows a teen girl who is dealing with the death of her little sister. She has a lot of guilt around it and she’s also trying to be a buffer for her parents. Obviously, it’s a YA book.